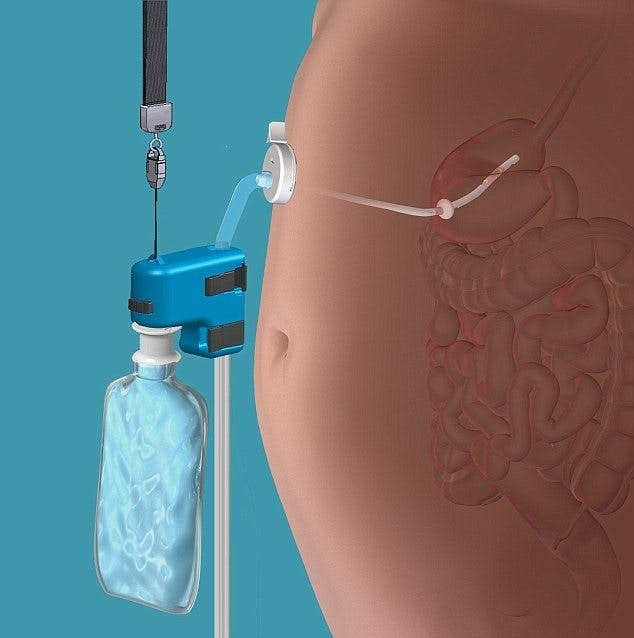 A new medical device – AspireAssist – is implanted as a tube into your stomach. This means that after eating you can enter a bathroom and empty your stomach contents into the toilet (yes, really). Not surprisingly some people report weight loss and improved diabetes after implanting the device. And perhaps it could even be a good idea for someone. At least we’re not removing healthy bodily organs as in many other kinds of obesity surgery. The problem is that this procedure isn’t really necessary. There’s no need to surgically implant a new tube into the stomach. We were born with one! It’s called the esophagus and people have been using it to throw up unwanted food for a long time… by just putting two fingers into their throat. Yes, it’s the eating disorder bulimia. While bulimia may help people lose weight it’s likely never something that medical professionals recommend for weight loss. Bulimia sounds so nasty, it needs a rebranding. And now it’s here: the AspireAssist device. It’s the cleaner way to do bulimia. Weight Watchers Must Be Joking? I had to Google AspireAssist to make sure that this was a real device and not a joke!! Unbelievable. Wouldn't this device just encourage the user to binge-eat even more? I don't know, but I think it wouldn't work for people that don't actually have the disorder bulimia. I would think that constantly empting your stomach would just make you hungry all the time. You would eventually succumb to hunger and keep a full belly anyway. How does your body get the nutrients if you constantly empty your bowels immediately you eat or before the food is digested? Can someone explain? It doesn't. If the food doesn't leave your stomach and enter your intestines then nutrients are not absorbed, and eventually could probably lead to malnutrition. This device is a terrible idea.